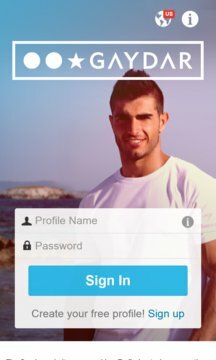 This is an unofficial webwrap App to access the mobile site of Gaydar. I make Apps like this primarily as a hobby but my goal is to bring the demand for official Apps on the Windows Phone platform to the service providers' attention. Feel free to use this or continue accessing the site via Internet Explorer. Gaydar - The Premier Gay Dating Site. Home To Millions of Men. Gaydar is one of the world’s largest gay men’s dating sites, with millions of profiles worldwide, proudly serving the LGBT community for over 15 years. Whether you’re looking for a date, love or something more instant with ‘no strings attached’, Gaydar is full of hot guys wanting to meet you. Sign up in seconds and find guys in your area! Gaydar is always there for you whenever you want to meet other men - for dating and relationships, chat, or fun. It’s also a great place to find friends, gym buddies and travel companions. Get to know other gay, bi and curious guys and couples. Wherever you are, you've got Gaydar - giving you reliable access to millions of men in the palm of your hand. With thousands of new men joining every day, you can quickly hone in on the guys you like, either nearby or in a city you're planning to visit. Start chatting and flirting for free, exchange photos and videos, and share your location when you're ready to meet up.